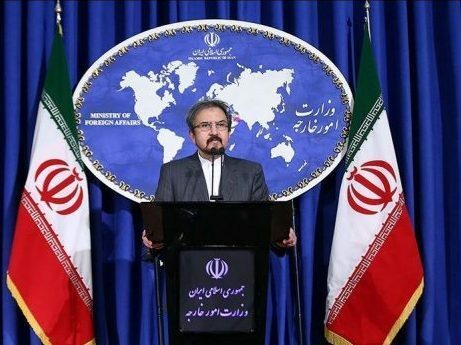 Iranian Foreign Ministry Spokesman Bahram Qassemi has rejected remarks by US President Donald Trump in his address to the US congress, saying terrorism in the region is an outcome of decades of wrong US policies. “Terrorism in the West Asia region is the result and unholy child of misguided policies of the US and some of the country’s allies in the region in recent years and decades,” Qassemi said in a Wednesday statement. They have used these policies as a tool to implement their strategies, including the creation of Al-Qaeda and ISIS and other extremist and terrorist groups, the Iranian spokesman said, adding that such policies have imposed crises, tensions and long-term instability on this region. “Trump is falsely accusing Iran of supporting terrorism while it is clear to everyone that Iran, the biggest victim of terrorism in recent decades, has paid considerable material and spiritual costs in its tireless and real fight against this scourge, which is demonstrated in its major and undeniable role in defeating ISIS in Iraq and Syria,” he said. “This old and well-rooted culture is a major characteristic of Iranians,” he said. “The Jewish religion has always been hailed by the Islamic Republic of Iran like other Abrahamic religions, and has a high status according to the Constitution. But one cannot deny that the inhumane and criminal moves of the Zionist regime under the name of the Jewish religion have tarnished the image of Jews in the world,” he said. “Empty, illusionary and illogical allegations of the US president against the people and the Islamic Republic of Iran’s Establishment will fall short of covering up the crimes being committed by the US and its allied dictatorships promoting violence and extremism under the US support, which have massacred the suppressed the people of the region,” he said.